3 bedroom (1 king, 1 queen and two twins), sleeps 5 people, 2 and 1 1/2 bathroom, 1 den. 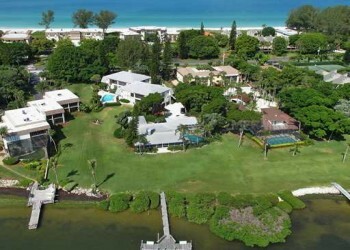 Sarasota bay frontage with short walking distance to Gulf Of Mexico beach. Internet and cable TV, salt water swimming pool, washer, dryer, air conditioning, ceiling fans, full kitchen, micro wave, oven, ice maker, dishwasher, water purifier, private dock in front, beach towels, linens provided, out door shower.